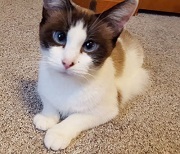 Friends of the Shelter subsidizes spay/neuter costs for those in the community who would otherwise be unable to afford this important service. We offer services to individuals in Boone, Campbell, Gallatin, Grant, Kenton and Pendleton counties. Thanks to a generous grant from the Joanie Bernard Foundation, you may have your companion cat spayed/neutered at no or low cost. Please get more information at the NKADD website, or call OAR(Ohio Alley Cat Rescue) or UCAN(United Coalition for Animals) directly with questions or to schedule. If you or someone you know is feeding outdoor cats, you can request assistance in trapping, neutering and vaccinating these cats. They will be ear-notched and returned to their outdoor home at no cost to you. Just call your local shelter, OAR or UCAN. 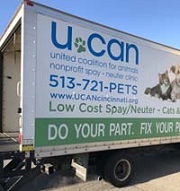 Dogs can be spayed/neutered for $30, if they use a UCAN transport running from each of the six Northern Kentucky shelters. Friends of the Shelter covers the remaining cost of the surgery. Rabies vaccines (required by law) can be purchased for $10, if your dog does not currently have one. If you cannot use the transport for any reason, you may still be eligible for a $50 voucher toward services at most Northern Kentucky veterinary clinics. Print the application available here, Spay Neuter Form, complete it and mail to: Friends of the Shelter, PO Box 93, Union, KY 41091-0093. 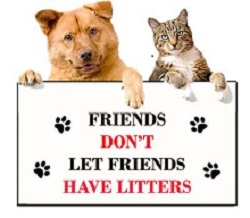 Someone will be in touch with you to help you access low cost spay/neuter services. However, using the voucher at a private clinic will result in substantially higher out of pocket expenses. You may call OAR directly at 513-871-0185 to find out about transports for cats and kittens only. Please call UCAN at 513-721-7387 for more information about low cost services for cats and dogs.